5/6/12. Late evening along the British Columbia Coast. This is a view northwest over the Malaspina Strait towards Texada Island. Weather has been unseasonably wet and cold this spring in this area which is usually known for its warmer and drier climate, hence the name "Sunshine Coast" given by the locals which seems a stretch for anywhere in the Pacific NW. Nonetheless, you do find pockets of pines and madrones (Arbutus) and waters warm enough to swim in during the summer months. 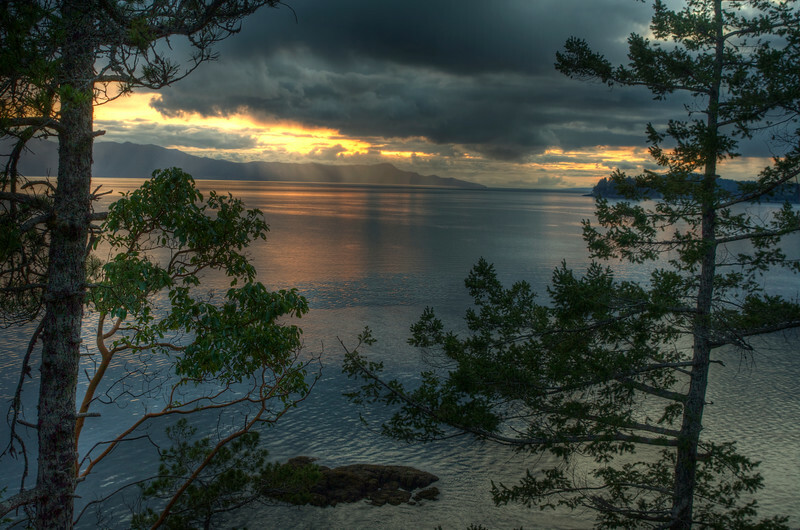 Stunning, the coast of BC is a photographer's paradise.